Stanbrook and Nicholson specialises in high-quality, bespoke windows, doors and roof lanterns. 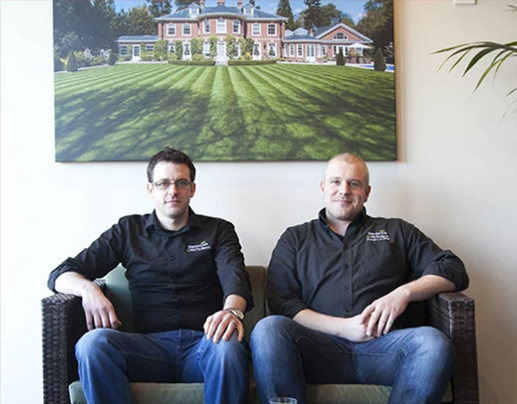 Having achieved national recognition for their specialist craftsmanship and expert manufacturing of bespoke timber and aluminium joinery, they are now viewed as one of the leaders in their field. They have both a factory and showroom in Surrey, and work in properties across the county and beyond. With high aspirations, Stanbrook and Nicholson knew that it would be imperative to have reliable, robust and scalable business systems in place, which are easy to use. This included CRM and project tracking, ensuring processes are easy to follow and no opportunity is missed. The company got in touch with Oval to discuss their options and priorities, and to ascertain the suitability of Podio for the task. Oval built a system that allows Stanbrook and Nicholson to handle all their business process management stages within Podio. A typical project journey covers nine milestones, including initial quote, survey, production, invoicing, installation and feedback. A number of automated steps have been integrated within the Podio apps, to limit the amount of repeated effort required to track jobs. We are now working with Stanbrook and Nicholson on a second phase of development, which will see them encompassing more detail into Podio. This will inevitably make their businesses processes more streamlined, efficient and trackable, and provide an even better platform on which to base their ambitious plans for growth.